Darkness to Light’s® Stewards of Children is a revolutionary sexual abuse prevention training program that educates adults to prevent, recognize, and react responsibly to child sexual abuse. 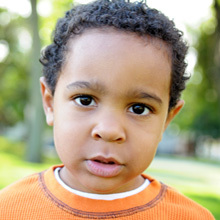 The program believes and teaches that child safety is an adult's job. Stewards of Children is designed for organizations that serve children and youth. What are the distinctive features of Stewards of Children? A comprehensive program that incorporates all of the fundamental mechanics necessary in creating organizational policies and procedures that keep children safe. Ideal for training staff and volunteers on child sexual abuse prevention. Includes the “5 Steps to Protecting our Children,” Darkness to Light’s core, evidence-based educational tool for sexual abuse prevention. A 2.5-hour training program that integrates the simple principles of choice, consciousness, and personal power to promote an understanding of the nature and impact of child sexual abuse, and that uses those principles to provide a context for empowered action. The curriculum is direct about holding each adult accountable, and generous in providing powerful, specific support for personal change. Video component of curriculum integrates personal stories of sexual abuse survivors, sharing their experiences of trauma and healing with the perspectives of professionals working with various issues of sexual abuse. The program is motivational and compelling. It calls participants into personal responsibility for the safety of children, while at the same time appreciates their fears and concerns. A child abuse prevention program designed for grades one through six. The content and delivery of the program is based on findings from several areas of research, including child development, learning styles and child abuse prevention. The program also focuses on meeting state standards for health and safety education. • How to verbalize the importance of safety and safety rules. • Demonstrate age appropriate knowledge of child abuse including – types of child abuse, who abuses children, and strategies used by abusers to hurt children, including secrets, tricks, force, gifts and bribes. • Understand the warning signs and strategies of bullying. • Distinguish between safe and unsafe situations. • Understand what makes an adult safe and identify at least 2 or more safe adults. Speak Up Be Safe provides opportunities for teachers and parents to participate in follow up activities with the students. TECH Smart 4 Kids Safety is designed to educate parents so that they can gain knowledge to become increasingly aware of the potential risks associated with their children’s use of technology and more effective in supervising its use. TECH Smart 4 Kids Safety can be presented in 1, 2, or 3 hour trainings. 1 hour – provides adults with information on how much personal data is given out when we use modern technologies and the dangers that go along with providing that information. Provides suggestions of how to limit the amount of personal data provided and increase the understanding of many technologies. 2 hour – combined with the 1 hour presentation, discusses cyber bullying and sexting and provides adults with the tools to prevent or stop it. 3 hour – combined with the 2 hour presentation, provides easy to follow and practical suggestions on ensuring the safety of the children and teenagers that utilize these technologies. This information was put together by Healthy Adams County and provides a comprehensive resource guide for Mental & Behavioral health in our local community.